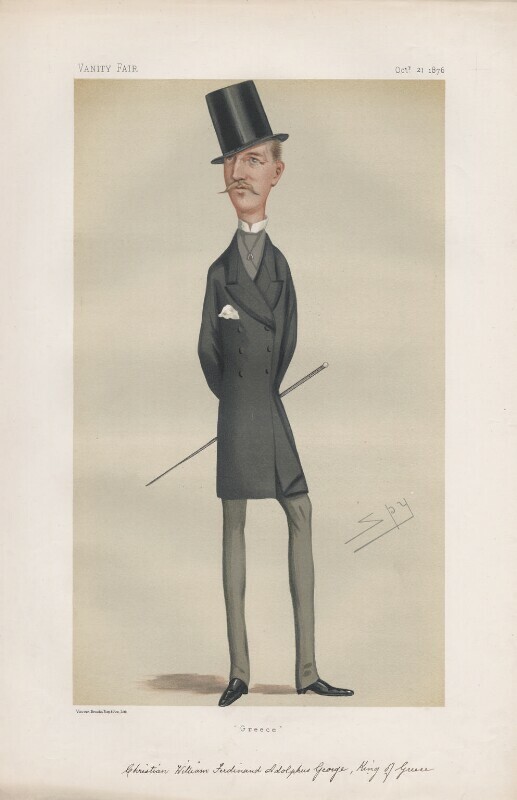 Sir Leslie Ward (1851-1922), 'Spy'; caricaturist and portrait painter; son of Edward Matthew Ward. Artist associated with 1610 portraits, Sitter in 9 portraits. Following the introduction of the Royal Titles Act, Queen Victoria is proclaimed Empress of India, with Disraeli deliberately flattering Victoria's imperialist ambitions. In turn, Victoria creates Disraeli Earl of Beaconsfield; he continues to run government from the Lords. The classical-subject painter Lawrence Alma-Tadema, famous for his elegant depictions of the Roman Empire, paints An Audience at Agrippa's. US inventor Alexander Graham Bell invents and patents the telephone following research into vocal physiology and speech instruction for the deaf, after discovering that sound could be transmitted and reconverted through an electric wire by using a continuous electric current. 15,000 Bulgarian Christians are slaughtered by Turkish troops in retaliation for the killing of 300 Turks in Batak at the start of the Bulgarian uprising. The Turkish government practices further repression by compulsorily transferring people of other ethnicities to Bulgaria to make the Bulgarians a minority. Gladstone published a pamphlet The Bulgarian Horrors and the Question of the East attacking Turkish actions, selling 200,000 copies in a month.